If you have been wanting to educate yourself on all things Human Trafficking, I have the Conference for you. 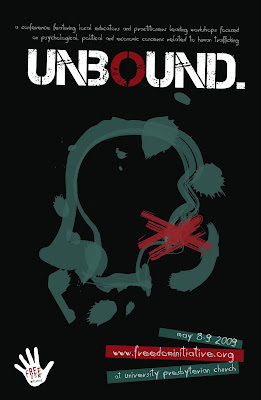 I encourage you to attend the UNBOUND Conference in Seattle on May 8th and 9th. There will be a number of great speakers and this is the perfect chance to educate yourself on what is going on and how you can help. SIGN UP TODAY by clicking on THIS LINK. Tee Off eBay Auction is…LIVE!